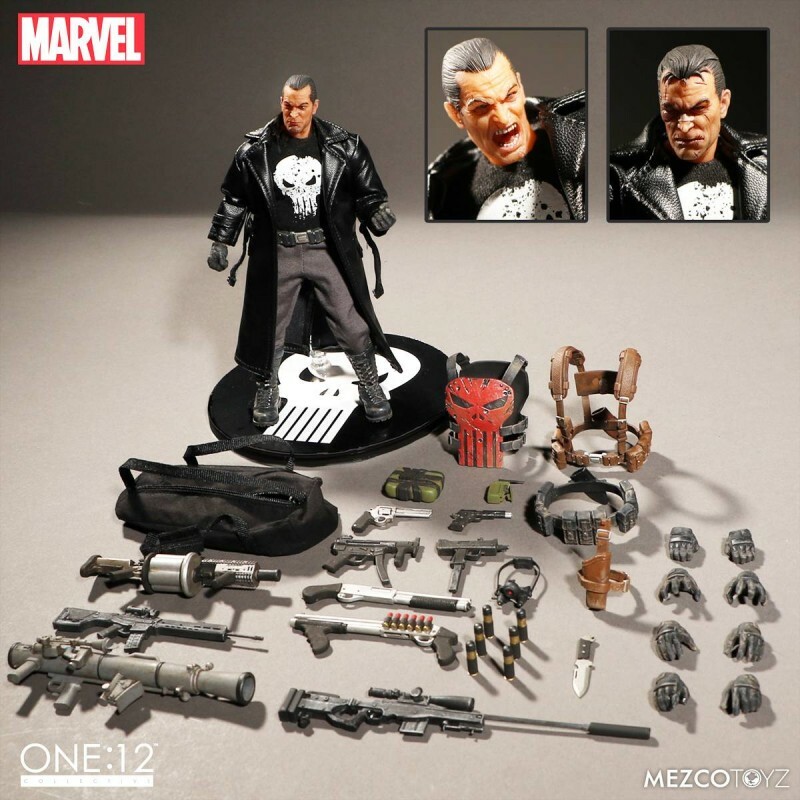 When veteran war hero Frank Castle’s family is slain in front of him during a mob related shootout, he vows vengeance and becomes the Punisher. Waging a one-man war on crime, the Punisher utilizes his vast military skills to brutally serve justice to those he deems deserving. An expert in hand-to-hand and weapon-based combat, he is an unstoppable force. Meticulously developed to capture the intensity of the character and outfitted on a newly designed One:12 Collective body, the figure has impressive details. The final product creates a “real world” look reflecting the character’s severity. This 1/12-scale figure boasts over 32 points of articulation with a highly-detailed fabric costume.